At Artona, we know how powerful images can be. For us, what we capture is not just grad photos but all the feelings that come with such an important milestone. Graduation isn’t only about finishing school — it’s a coming-of-age celebration of all you have accomplished and for the future ahead. These are the photos that are hung on the wall or displayed on the mantle, bringing tears of joy and a sense of pride for years to come. Visuals can do more than evoke emotion. We can even use them to help us create what we want for the future. With a new year here, now is a great time to reflect on the last 12 months and set some goals for 2018. One way to do this is through making a vision board! This can include both images and words that serve to remind you of how you want your life to look and feel. You can read more about the science behind visualization here. 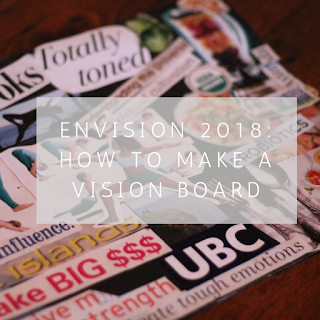 To make a vision board, start by asking yourself these questions: What did I accomplish this year? What am I proud of? How did 2017 make me feel? What am I looking to bring forward in the new year? What am I hoping to leave behind? After reflecting on the past year, you can set some intentions for 2018. How do you want to feel this year? Are you planning any new projects? Places to go? Things to do? Once you’ve had some time with these questions, it’s time to start making your board. As you look through the magazines, cut out any images or phrases that represent how you want to feel or what you want to achieve. There are no rules here, just let your creativity flow. Once you have a good amount of clippings, you can trim them up and place them on your board as you like. When you’re happy with how it looks, glue it in place and add any decorative elements, if that’s your thing. Once you’re done, hang it in a spot that you will see often, like on the fridge or beside the bed. 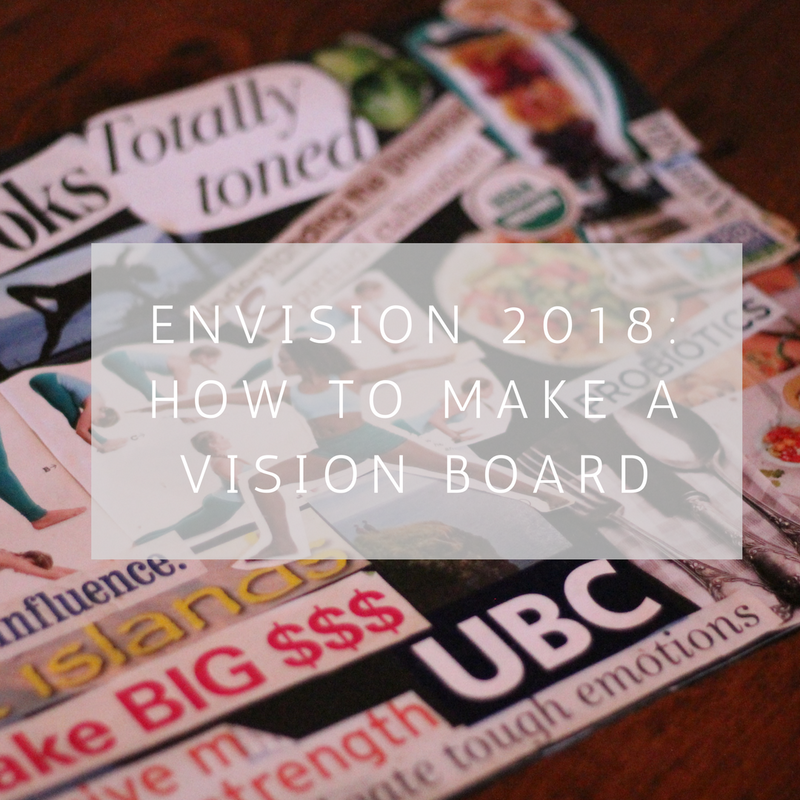 Throughout the year, use your vision board as a reminder of your goals and for how you want to feel. But don’t sweat it if you go off track. As long as the intention is set, you’re halfway there.